Have a question for Oma Home? Designed for both business and leisure travel, Oma Home is ideally situated in Hua Hin's city center, one of the city's most popular locales. The hotel is located in the center of the area and only 2km away from the market. At Oma Home, every effort is made to make guests feel comfortable. To do so, the hotel provides the best in services and amenities. Oma Home is a private property accommodating guests on the 2nd and 3rd floor. All guestrooms feature a variety of comforts such as a spacious living area with a dining table and kitchenette for heating food. The hotel offers fantastic facilities, including a garden, to help you unwind after an action-packed day in the city. Discover an engaging blend of professional service and a wide array of features at Oma Home. Please note that guests who would like to check in after 8:00 pm are advised to inform the hotel 1 day prior to arrival. 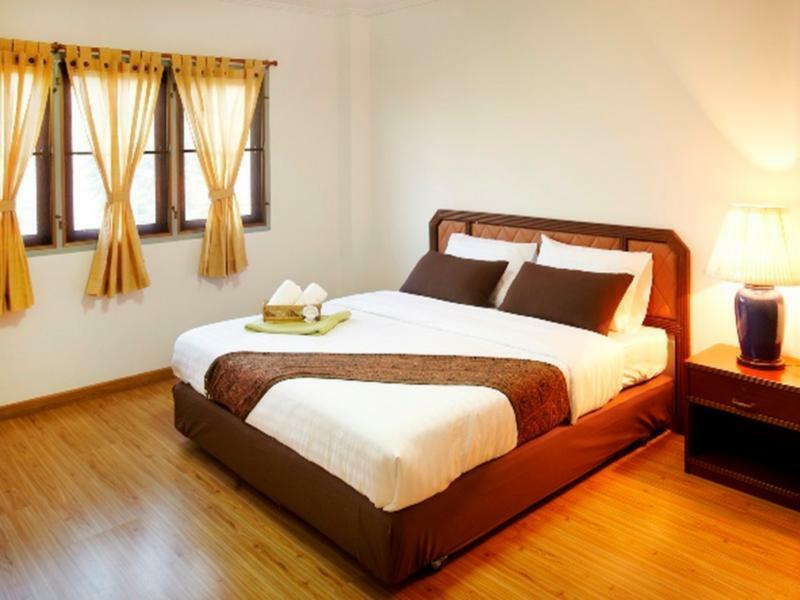 very good price for group hanging out near the beach of HuaHin. This hotel is very private (actually more like guess house with a very large room). Staff offer us free breakfast even it isn't includes in the deal. restaurant and other food are 5 min. away by walking. If you would like to have BBQ at night. Go to the city and buy meat and other staff cause you have to prepare it on your own. Thanks owner for the warm and delicious breakfast and being good and friendly to us. we came in a large group with elderly people. We got a room in the second floor with 3 bedrooms. The common space is huge & suitable for party. It is quite clean and comfortable. Have everything in the room. Toilet is wide and clean. Have kitchen stuffs for dining. (microwave is available). It is near the beach but quite difficult to find it's location. It is a house in a hometown village. Having 2 car park lots. The old owner is friendly. You can request Boiled rice for next morning breakfast for free which will be served at your room. The only bad thing was the wifi signal was not so good. If you like a quiet place to stay with your family like being at home, this place is recommended. Very nice staff, comfortable room and quiet area. The taxi driver called for directions as it was in a residential neighborhood. The apartment consisted of three large rooms and three balconies. It was clean, very well kept and quiet. Breakfast was great! We were welcomed by the lady of house, a very charming lady after which she showed us around the apartment. 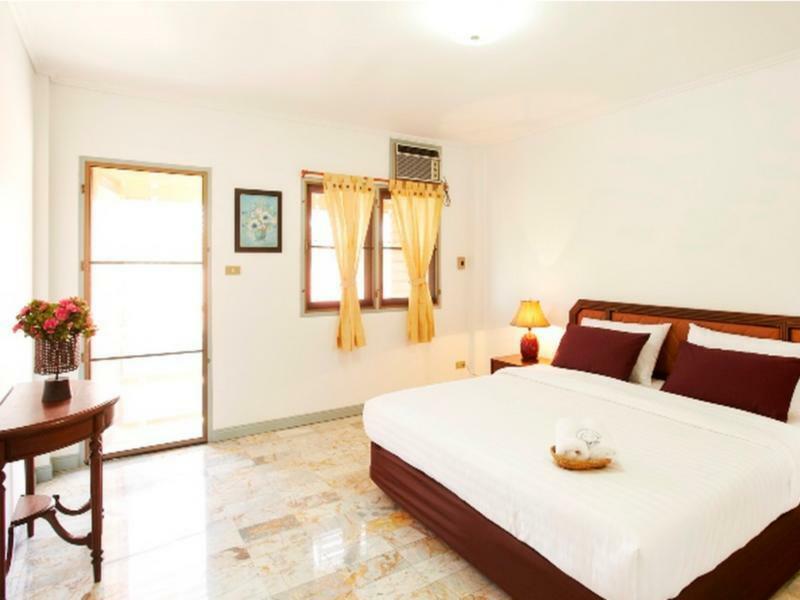 The unit is fully equipped with 3 bedrooms, so it's ideal for a group. Breakfast consists of a hearty khao tom, a perfect start to the day. Io e la mia famiglia (8 persone) ci siamo trovati malissimo perché : 1 il posto è lontano dalla spiaggia 2 il supervisore è troppo assillante e non c era la privacy (es. quando noi uscivamo, lei entrava per controllare se era tutto apposto, cosa che non doveva fare in quanto era una casa in affitto e il fatto che lei avesse una copia delle chiavi della nostra stanza per venire ogni volta a controllare, ci a dato parecchia noia) 3. Ad ogni occasione, il supervisore, non esitava a ripeterci di fare attenzione a i lampadari, alle sedei di legno, alla tv in quanto potevano rovinarsi e oltre tutto ci diceva che non potevamo portare le nostre scarpe nel nostra stanza perché altrimenti farebbero cattivo odore. Ditemi se una persona vuole affittare una stanza per stare con la sua famiglia in vacanza, deve ritrovarsi la maggior parte delle volte in un situazione del genere?! Se non era per questo, poteva essere un posto accogliente.